Get the best price by negotiating with several vendors. You can also use Blanket Order Agreement to buy goods from a supplier at a negotiated price, on a recurring basis during a specific period of time. 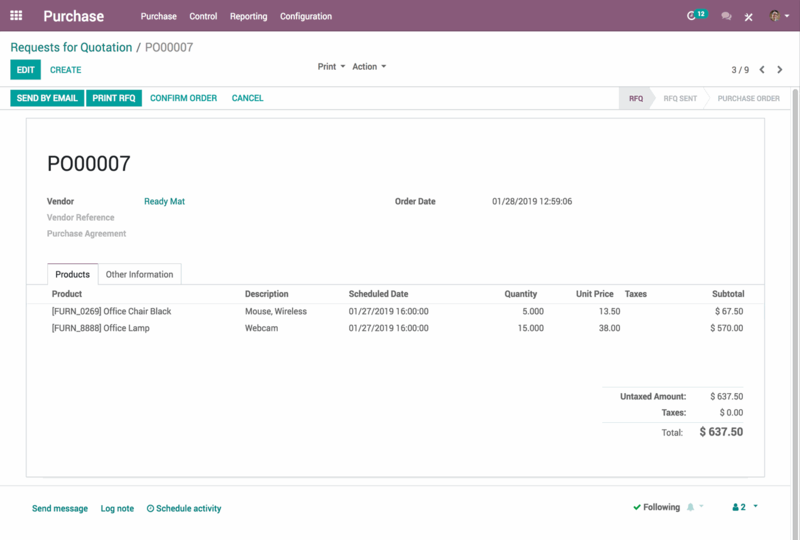 Save time and effort thanks to Odoo’s multi company rules. How to integrate production process and sales workflow.